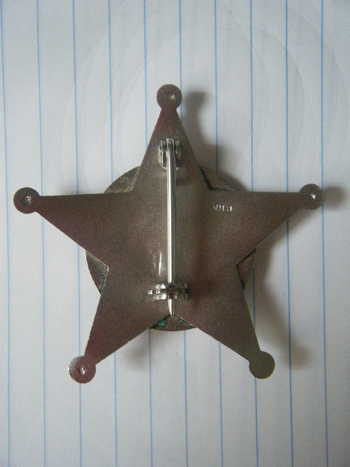 In Medals Pins and Badges > Police Badges > Show & Tell. 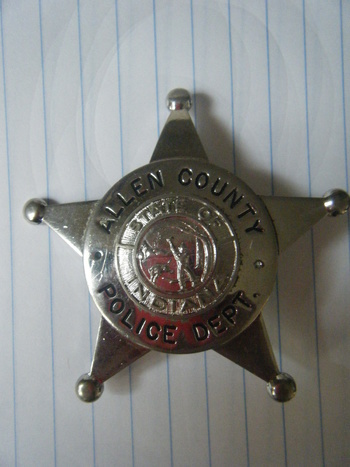 Allen County Police 5 point star ball tipped badge, hallmarked VHB(Blackinton).That is a type of badge used by cities in Illinois and Indiana in the 1950’s. Chicago Police used one like that for a short time.thanks for looking!! Really awesome collection! I work for History Channel's newest show Collector's Cafe and we are looking for people in the Tri-State area with different and unique collections. I'd love to learn more about your collection and tell you more about the show if you were interested. Feel free to email me at cburzynski@thinkfactorymedia.com!